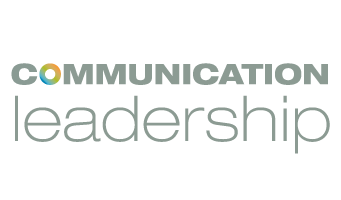 Do you have questions about Comm Lead? We have answers! In order to help perspective students get to know our graduate program before the February 1st application deadline, we will be hosting hour-long weekly Question & Answer sessions on our YouTube Live Stream. Different members of our Leadership Team will host each week, so listeners can meet the program’s instructors as well as have their submitted questions answered. Applications are due on February 1st! 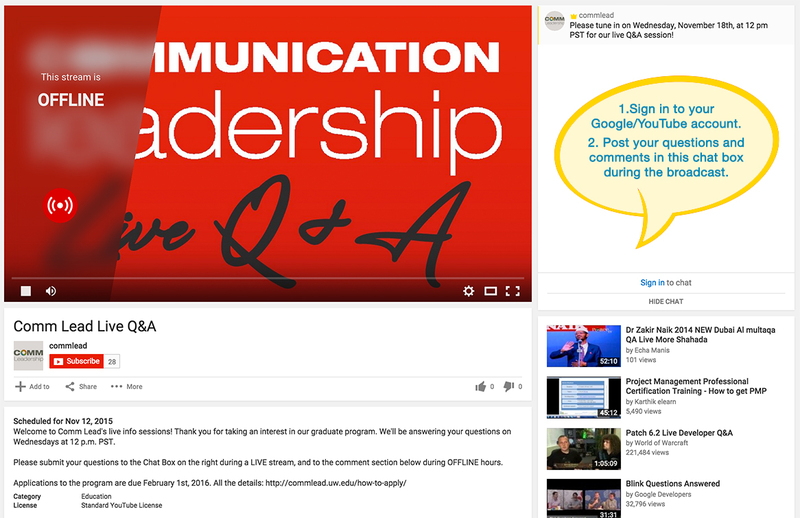 Go to the Comm Lead’s YouTube Live Stream at the designated broadcast time. Log into your YouTube or Gmail account by clicking the “Sign in to chat” link in the chat box on the righthand side of the screen. Once you’re signed in, post your questions and comments in the chat box.